No! Do not look at him. You ruined our lives, don't you get that? I was supposed to be getting married and I'm not anymore. Ayden called off the wedding because of you. You dragged us into the horror show that is your life and now we're all screwed forever. So you're going to tell us the truth. Every horrible secret about that night that you haven't told anyone. Or I swear to God, I will personally destroy you. Tell us the damn truth, Rebecca. Did you or did you not kill Lila? Spit it out, psycho. You killed Lila, right? And you played wait list here like, like some loser. Wes: You think I'm going crazy? Annalise: I humiliated myself in court for you Father, you do not get to lie to me. Father Andrew: Brian and I spent considerable time together. The dark room had became a place where he felt safe enough to tell me, his friend, what was troubling him. That he was being abused by someone. Shortly after his death, I came to learn that person was Father Bernard. That's why I killed him. And I'd do it again. And what about your own ethics? You know for a fact that your client is guilty, they've told you as much. And yet you have to stand in front of that jury everyday and lie to their faces. How to Get Away with Murder Season Finale: The Killer Is... Dead?!? 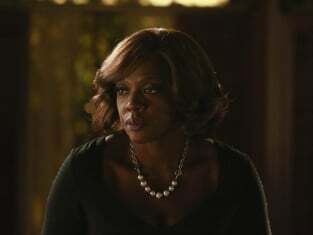 How to Get Away with Murder EXCLUSIVE: A Game of Cat and Mouse?